About every three months we draw up and print an auction catalogue: the catalogue is avalailable in our online shop or you can browse it online. Registration is needed in order to bid in our online coins and medals auctions. 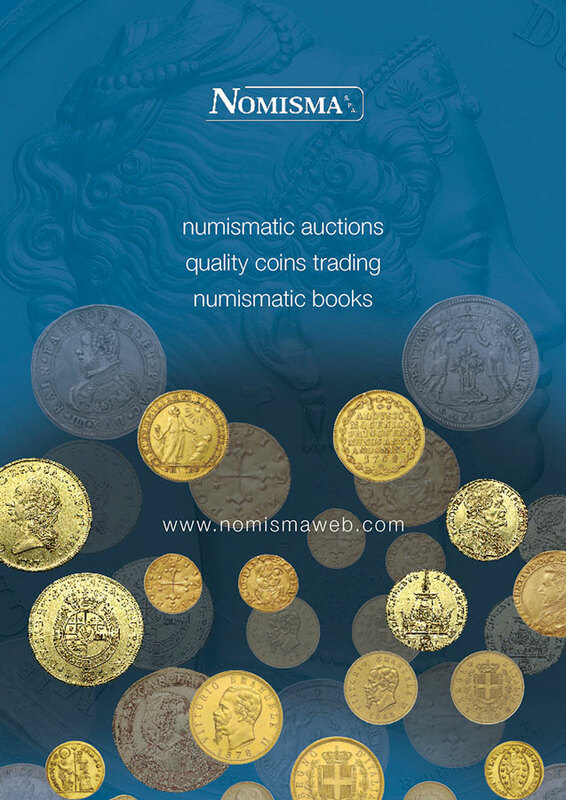 Nomisma is a well-known leading company in numismatics auctions and coins sales in Italy. We organize online, room and online numismatic auctions. We're based in San Marino Republic where we organize our room auctions. We deal with Ancient coins, Roman coins, Middle-age coins, Italian coins, world coins, banknotes and numismatic books. Of course we're specilized in Savoia and Italian coins and medals. See our auctions website. We publish numismatics books and volumes you can find in our online shop. We publish Panorama Numismatico monthly magazine since 1984. Panorama Numismatico is one of the most authoritative pubblications on numismatics in Italy. Since 2010 we publish an online magazine with weekly updates. In our online shop you can buy our numismatics books, Panorama Numismatico, auction catalogues, unsold lots..
Saturday and Sunday we are closed.